I’m calling this one, The Get Along Quilt. Have you seen the internet pictures of the two kids wearing a single t-shirt that says “Get Along Shirt” on it? The idea is that they have to wear it until they can get along and play nicely together. I was reminded of that with this center panel. In this case, Grant and Lee seem to be getting along quite well! Or maybe they are just giving each other the silent treatment. In any case, the picture above shows the quilt before washing and the rest after. 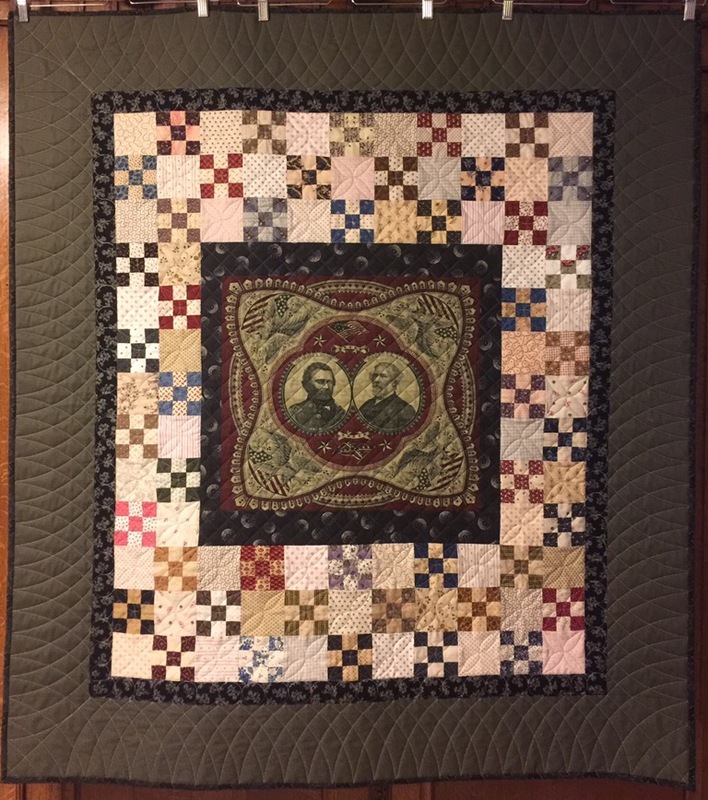 The last time I did a panel quilt, I quilted around the images in the panel. I wanted to do something differently here so I used a cross hatch. I also used invisible thread on this part. I didn’t want them to look like they were in jail. I am most pleased with the border quilting on this one. I will definitely do this again. The fabric on the back is a Mary Koval print that I picked up out in AZ. My foyer is a bit tight and I can’t get a straight on shot, but I wanted to show you where I decided to hang this. And one last shot on the fence. 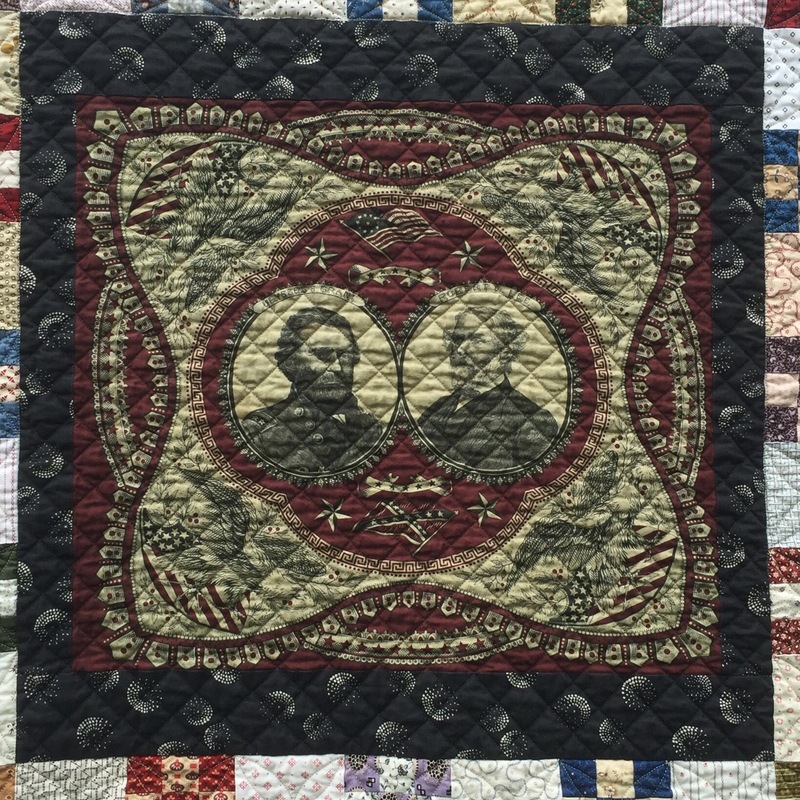 This entry was posted in Civil War Repro Quilts, Finishes. Bookmark the permalink. You know how sometimes you see a quilt photo, especially one taken somewhat close, and you think, “That’s a really nice quilt”? And then you see a photo of the whole quilt at a link-up and you go, “Wow, that’s a fabulous quilt”! Do you ever do that? I just did with this quilt. The view from a slight distance packs a lot of punch and then, when I came to look at the details — WOW! 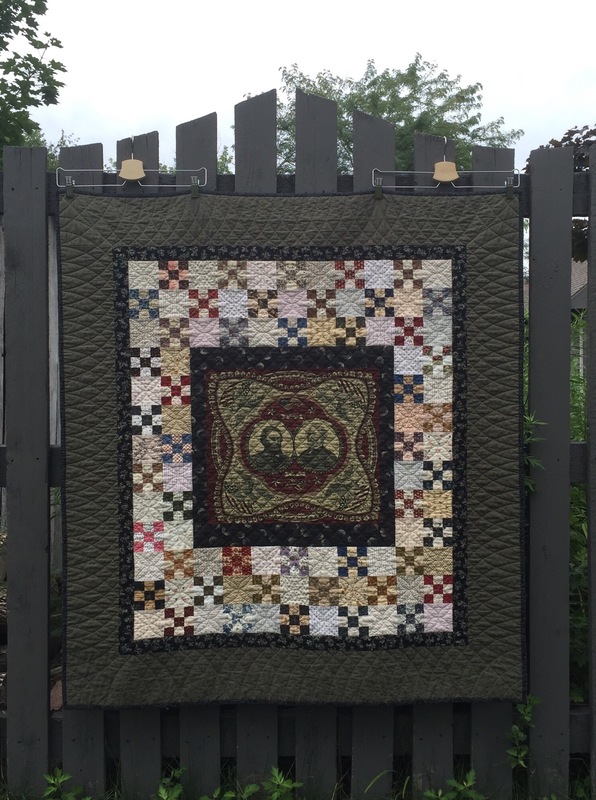 I love everything about this quilt — the colors, the 9-patch border, the darker borders, the quilting…. Congrats on a spectacular finish, Katy. I have had this panel for some time and never could decide exactly what to do with it. Great job! I hope you don’t mind me using your version for inspiration. I’m a fan of that panel! You used it in a spectacular way! That’s a great quilt Katy! 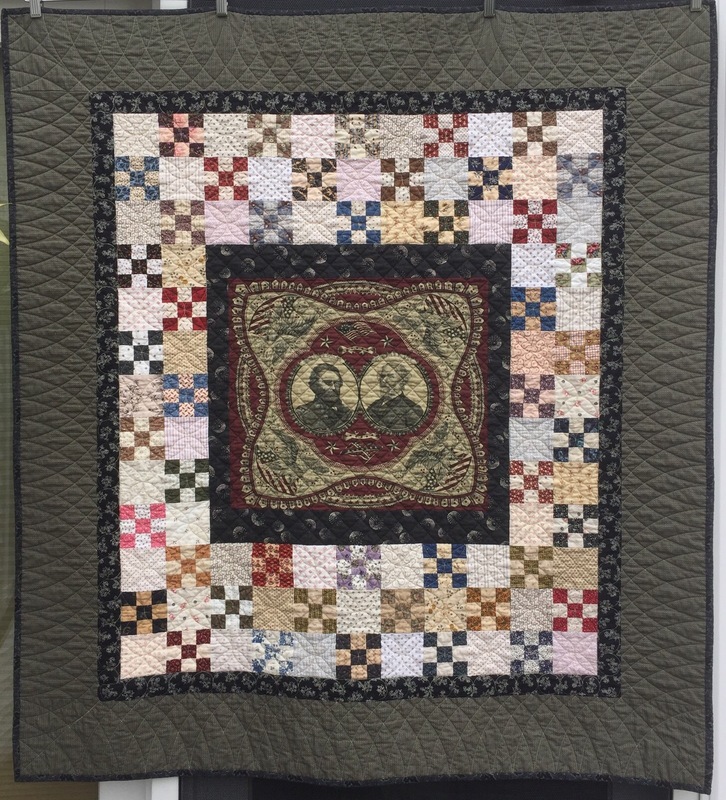 Love the quilt but the quilting is fantastic as well, perfect selection of designs. Civil war is my favorite. 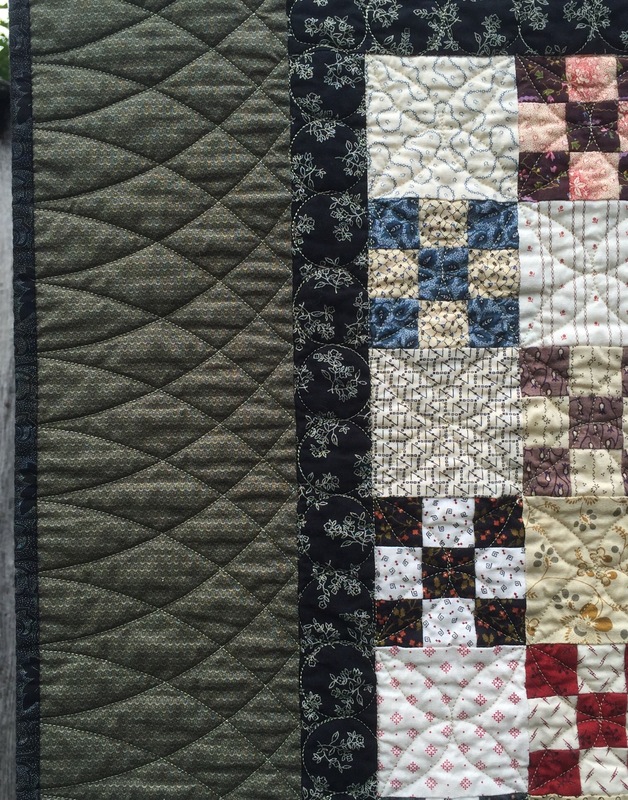 Your quilts are inspiring and beautiful. Glad I found you. I’m wondering if there is a pattern for the border? It keeps calling me back to this issues. Wonderful quilt and amazing quilting! I think we need to see more photos of your home – it looks wonderful! You chose the perfect spot to hang it, Katy. Thanks for sharing the closeup look at the quilting. It’s amazing! 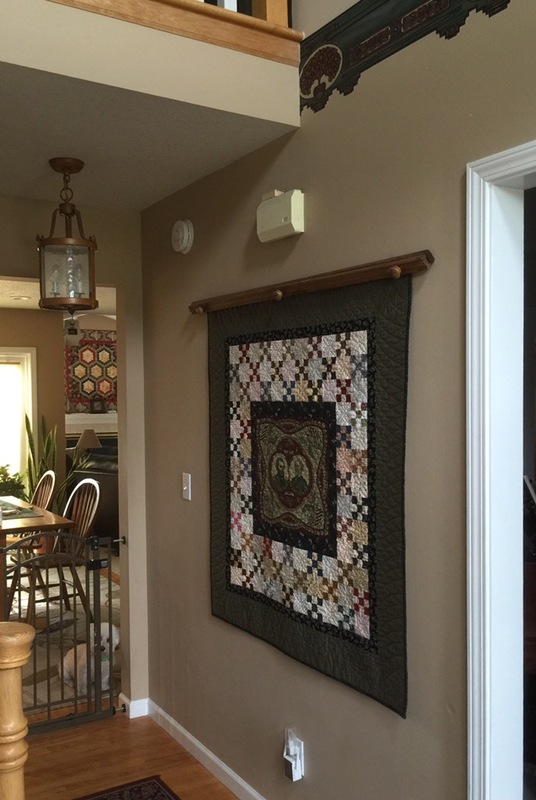 Grant & Lee looks great…the quilting you did is perfect…love where you have it hanging! I spied Brinton Hall hanging in the adjoining room!! It’s lovely! I love your border quilt motif too- looks great! Absolutely gorgeous! The quilting really makes it sing! 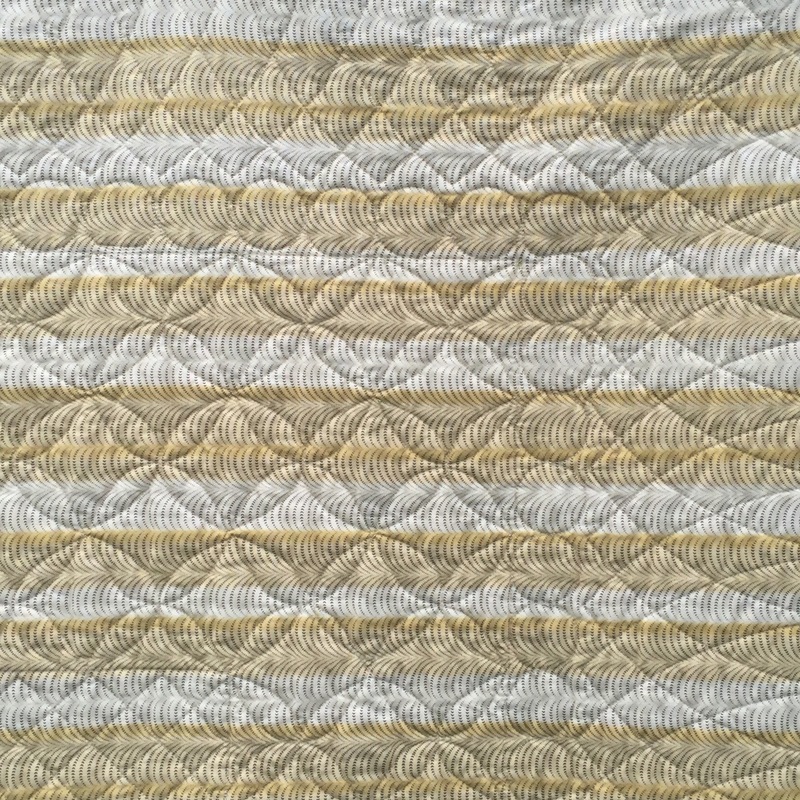 I love the texture of the washed quilt. It just pops so much. And your placement in the foyer reminds me – it’s about time to change my quilts on the walls! Love this – and what a great spot to enjoy it in your home! Gorgeous quilt, and it looks just right where you placed it! I am loving it Katy ! You’ve done an awesome work on it ! Bravo !